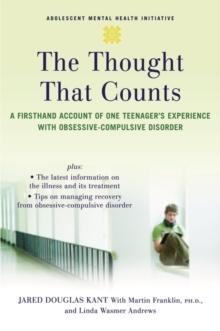 An in-depth look at prevalent anxiety disorders in adolescents, this book is designed for parents of teens who have recently been diagnosed with or who are at risk for developing such a disorder. 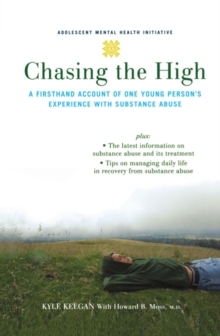 It is also for other adults, such as teachers and guidance counsellors, who are regularly in contact with at-risk adolescents. 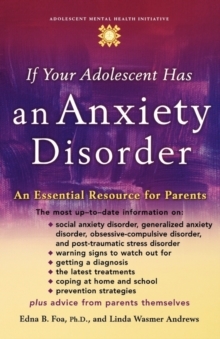 The book combines scientific expertise - including information about available treatments and up-to-date research findings on anxiety disorders-withthe practical wisdom of parents who have raised teenagers with these illnesses. In clear and accessible language, Dr Edna B. Foa and Linda Wasmer Andrews explain in detail each of the four major anxiety disorders (social anxiety disorder, generalized anxiety disorder, obsessive-compulsive disorder, and post-traumatic stress disorder). The book includes tips on how to go about getting a diagnosis, what a diagnosis means, when and where to get treatment, and how to navigate the health care system. 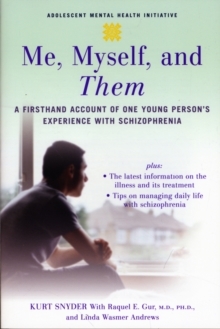 There is also advice on how to handle everyday life - both at home and atschool - once the teen is diagnosed. Pointers on red flags to look out for and about the dangers of doing nothing are included as well to help parents and other adults deal effectively with adolescent anxiety disorders before they become debilitating.